Execute below mentioned commands in sequential order. It will create a certificate with SHA.256 algorithm.You can modify parameters as per your requirements. 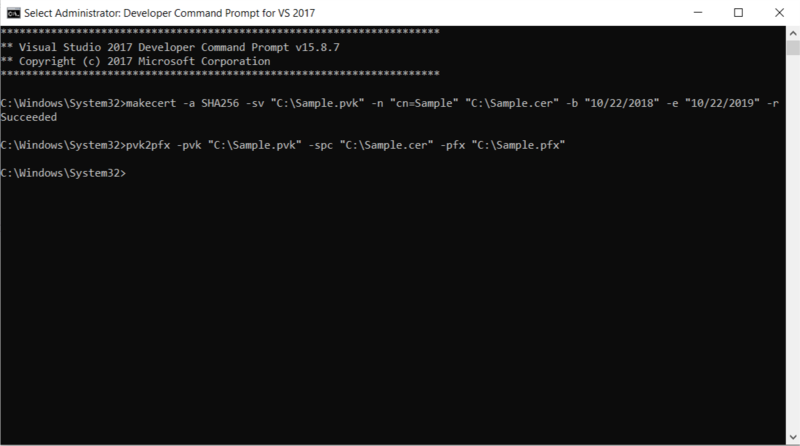 pvk2pfx -pvk "C:\Sample.pvk" -spc "C:\Sample.cer" -pfx "C:\Sample.pfx"
Use this powershell command to create self signed certificate as MAKECERT command has been depretiated. 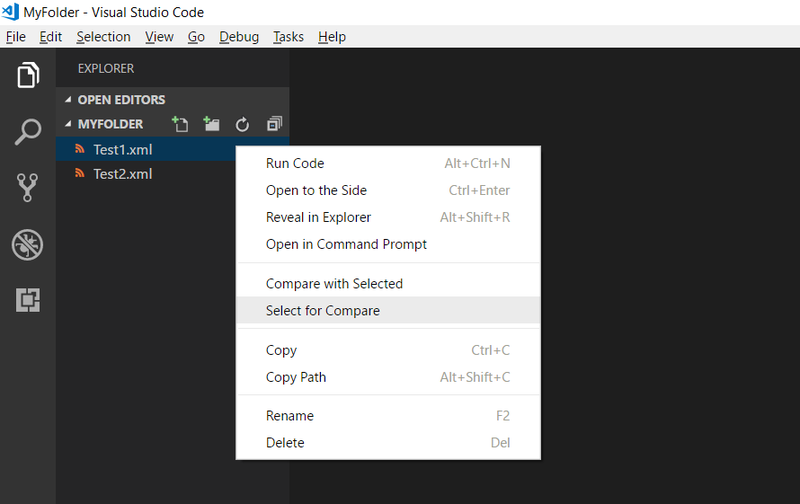 VS Code aka Visual Studio Code is one of the FREE, Open Source, lightweight and excellent code editor with several exciting features developed by Microsoft. One of them is comparing two files. Suppose you want to compare two XML file or CSV file or anything similar then you can use VS Code.